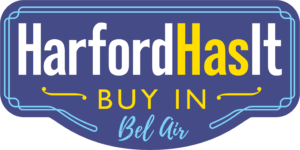 In partnership with the Harford County Office of Economic Development and the Harford County Chamber of Commerce, the Bel Air Downtown Alliance is excited to announce the Harford Has It: Buy In Bel Air. Harford Has It: Buy In is a shop local initiative that encourages Harford County residents to focus their spending within the community. The Office of Economic Development commissioned the Economic Alliance of Greater Baltimore to do a study on the economic impacts of buying local in Harford County. Based on the findings, it was clear that buying local – as opposed to outside the County – could have significant impact on the economic vibrancy of the community in both job creation and tax revenue. 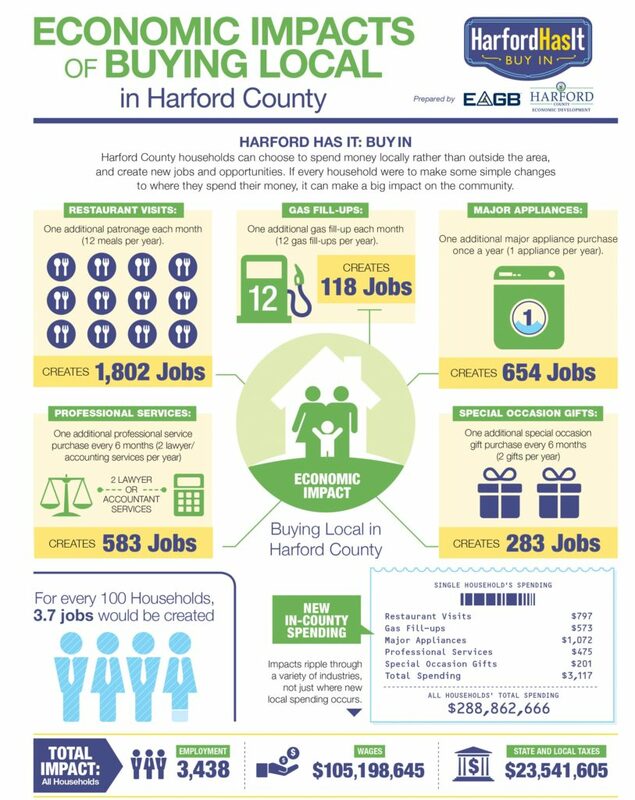 The image below reflects some of the ways in which buying local impacts the economy in Harford County! To learn more about Harford Has It, click here.